Did you know: Beagle is the eighth-most popular dog breed by registrations (53,938) worldwide. The beagle is clearly characteristically and characteristically shaped by his breeding past as a dog. He follows the dynamics of his pack and likes to adapt to his peculiarities. This pronounced social component makes the Beagle a popular family dog. 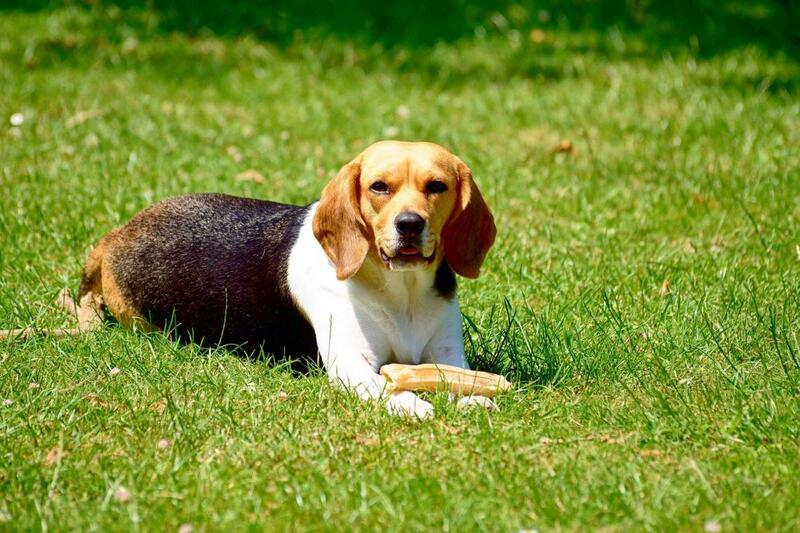 The Beagle is a kid-friendly dog ​​breed, happy and always ready to play. With his environment he cares for a harmonious and gentle handling. Nevertheless, he is very vigilant and unrelentingly reports unrelenting to his pack. However, the beagle has always been a hunting dog and will take the opportunity to pursue its passion. Once he has picked up a track, he can hardly retrieve from it. In this respect, it is up to the owner, whether he leaves his dog on a leash or let him play on the dog meadow and romp around. This goal-directedness of the beagle, which manifests itself, for example, when tracking a trail, can also be understood as stubbornness. However, it does not diminish its high level of intelligence and friendliness. However, it is important to be able to handle this property consistently. 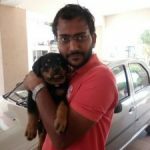 In addition, this characteristic of the Beagles has its positive ability to act very independently and smartly in challenging situations as well as to prove an excellent problem-solving competence. In its original use, the Beagle is a hunting dog. He likes to be in the pack and is usually used as a rabbit dog. Alone in the field he can rummage excellent, but with some training by an experienced hunter also brace and retrieve, although he is not a classic retriever. He is also suitable for working with welding tracks. If not used for hunting, the beagle should be offered the appropriate amount of exercise through other activities. Long daily walks are crucial to his well-being, especially if he can not be leashed. He also enjoys playing with other dogs. This option should be given from the puppy age. In order to quench his running impulse, the full-grown Beagle can also run ideally next to the bike. His excellent nose also enables the beagle to be used as a beagle. The Ministry of Agriculture and the Border Guards use it in the US as part of the so-called Beagle Brigades, in order to find illegally infiltrated substances at the borders, at the airport and at the port. The Beagle in its present form comes from England, where it was bred as a hunting dog for smaller game to be tracked down. His ancestors seem to have lived around 1400 in southern France. Medium sized, chasing tirelessly and with a very good sense of smell, these speckled and piebald dogs impressed the British so much during the Hundred Years War that they took them away and also used them for hunting. 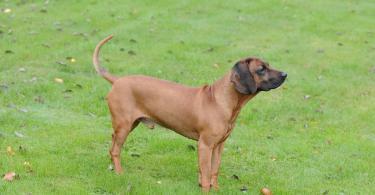 This breed was called Southern Hounds. The first mention of the beagle, whose exact name origin is unclear, appears in 1515 in the household books of Henry VIII. There, a so-called "Keeper of the Beagles" is rewarded. In 1615, the Little Beagle finds its way into Gervase Markham's general description of the main hunting breeds. However, it lasted until 1890, when the beagle was recognized as a separate breed of dog by the English Kennel Club. Beagle is the 161. It belongs to the FCI Group 6 (Running Dogs, Weaning Dogs and Allied Breeds), Section 1.3 (Little Running Dogs., With Working Test.). Beagle make a strong impression, have a lot of stamina and a square physique, which does not grossbächtig despite pronounced musculature and relatively heavy bones. The head of the beagle is very short and close to the body. 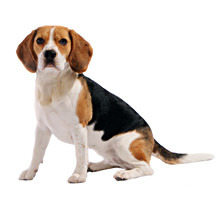 Three-colored beagle is most commonly bred, which then show light brown to reddish brown and black plates in any arrangement on a white background. But also bicolor beagles are very common at least in Germany. They lack the black color, but the brown appears rather red and can go down to the lemon color. ding edge on the cheek. The neck is mediocre in length and turns into a tight but short back. The wide-arched ribs of the beagle provide ample space for the powerful heart and lungs, which enhances performance and endurance. The paws of the beagle feel solid and appear round and closed. The tail is upright cheerfully upright. She is relatively thick and densely hairy with a white tip. The standard provides a withers height of at least 33 cm and 40 cm at the most. The Beagle weighs fully grown ideally between 10 and 18 kilograms, depending on size and type. Excellent article highlighting all you need to know about beagles. Beagles are one of the most loved breeds in the entire world. 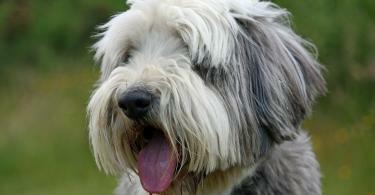 They are not only intelligent but very energetic and make excellent family dogs. They are good with kids too! Thanks for sharing such a great read!